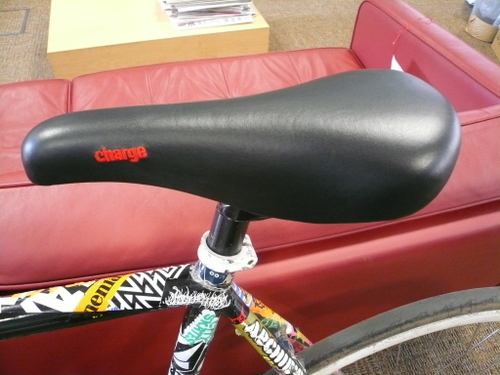 I put my new Charge Bucket saddle on the Plug over the weekend. It looks like the Turbo…and as its made using the original Turbo last that is no suprise, eh? I think its gonna come in green, orange, brown, white and black. I found it really comfortable and it was about time I put a new one on anyway as my last one had taken a beating and was falling apart. I think I need to give my poor bike a bit of TLC. 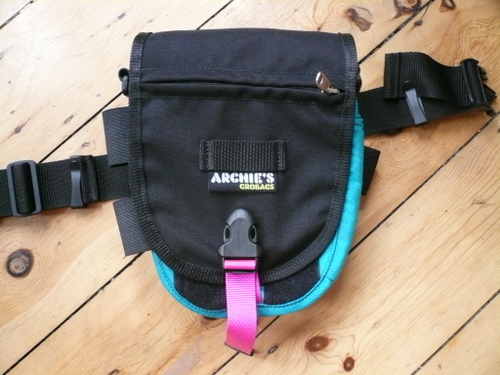 I finally got my Ninja Bag from Archies Grobags too. It rocks! There’s enough room for my tools, pump, spare tube AND the various different shades of lipgloss that I cart around with me. Scott’s bags are awesome but you’re gonna have to beg if you want one as the man is so damn busy. I am a lucky lady. oh nice miska colour way!